Virginia Supportive Housing’s (VSH) mission is to end homelessness by providing permanent housing and supportive services. Founded in 1988, VSH was the first non-profit organization in Virginia to develop and provide permanent supportive housing for homeless single adults. Since then, VSH continues its tradition of Making Homelessness History. As Virginia’s largest supportive housing organization, we developed and we manage more than 650 housing units in 15 communities, and we serve hundreds of additional clients in permanent housing with private landlords. The individuals and families we serve represent the lowest income levels in the Commonwealth–generally 30 percent or less than an area’s median income. Their financial situations often are compounded by challenges such as substance abuse, mental illness and physical disabilities. To fulfill our mission we depend on a wide variety of funding sources including individuals, corporations, foundations, governments and faith-based communities. More than 95% of our residents do not return to homelessness. Average incomes of our residents increase by 127% within one year of becoming permanently housed. 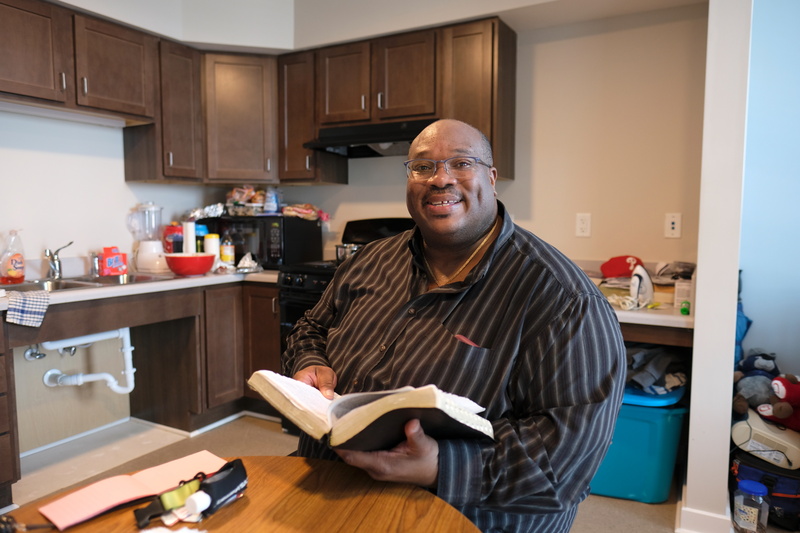 Permanent supportive housing combines affordable housing, which usually includes rental subsidies, and individualized support services, such as counseling, case management and community connection. The combination of stable housing and supportive services delivered through our own team of social workers empowers residents to reclaim their lives. We also embrace the strategy of Housing First, which emphasizes access to stable housing above all other needs. Once stably housed, individuals and case workers can address the conditions that caused homelessness, such as mental illness and substance-related disorders. Many Housing Ready programs–cousins of Housing First–typically require sobriety or enrollment in treatment programs before clients can access permanent housing, thus adding barriers to ending homelessness. VSH targets our services to people with the greatest need, including those who are chronically homeless, medically vulnerable or severely mentally ill. Without housing and supportive services, many most likely would die on the streets. After moving into permanent supportive housing, formerly homeless individuals face many new challenges such as maintaining housing, improving their economic conditions, and recovering from mental health disorders, substance abuse conditions, traumatic experiences and other life challenges. Our unified approach to housing and supportive services helps tenants stay housed and succeed in other areas of life. Residents can stay as long as they wish in the communities we develop and manage, provided they pay rent and live within the guidelines of the community. Our on-site case management from more than 40 social workers helps residents maintain their housing and become more independent. Counseling, financial literacy programs and community activities backed by 800 volunteers enhance residents’ quality of life and empower them to make changes. VSH was the first in the nation to develop regionally funded, permanent supportive apartments for formerly homeless individuals. The development, Gosnold Apartments, is an adaptive re-use of a former bottling plant and serves individuals from Norfolk, Virginia Beach, and Portsmouth. New Clay House opened in Richmond in 1992 as Virginia’s first studio apartments with support services for 47 formerly homeless residents. In 2000 we launched the first affordable rental housing program in Virginia for homeless families moving from shelters and transitional housing. Our first mixed-income apartment community serving formerly homeless as well as low-income individuals, The Crossings, opened in Charlottesville in 2012. VSH also created a regional public-private work group to fill a gap for services for people with severe and persistent mental illness and long periods of homelessness. To address these needs, we launched “A Place to Start” in 2007 and continue to operate it as Richmond’s only housing and intensive services program for this targeted population. To learn more about honors and recognitions VSH has received, please visit our Awards page. To learn how you can get involved, please visit the Donate and Volunteer pages.